You won’t catch me reading middle grade often. It’s not a category I delve into often, and why should I? It’s not marketed to me, and it’s not written with my age in mind. But that shouldn’t stop people from doing so if they like it. For me, if my age and the book’s demographic clash, it’s probably not going to be for me. But when it comes to V.E. Schwab, she could write a picture book and I would enjoy it. City of Ghosts is about young Cassidy, who travels to Edinburgh with her ghost hunting parents to film a TV show about Edinburgh’s spooky past. I don’t think I read all the right books growing up. Either there wasn’t interesting and different book topics for kids back then, or I just wasn’t looking hard enough. Reading about boys and first kisses and giggling girls at sleepovers is fun for a bit. But I feel I would have read much more voraciously if my options were a little more diverse. I would have loved a book like City of Ghosts at 10 or 11. 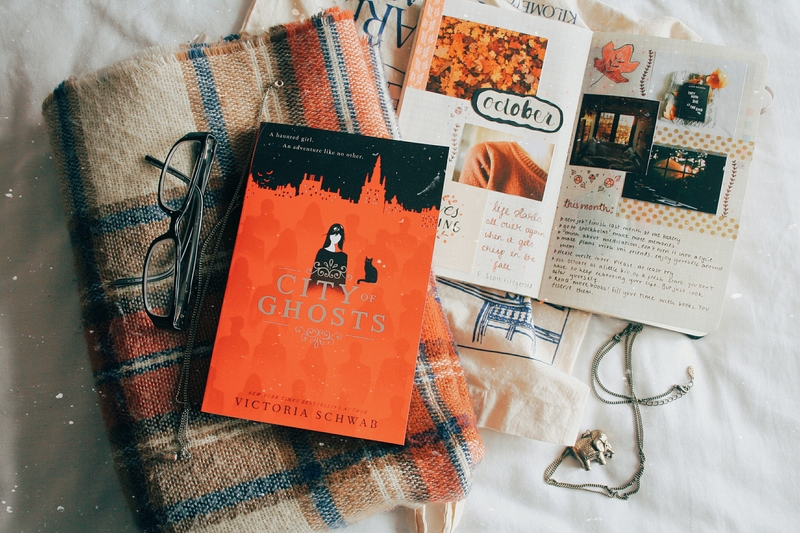 It’s Halloween-y, historical, and about a girl who loves to take photos and has a best friend who’s a ghost (who she doesn’t fall in love with thank God!). So, despite knowing that City of Ghosts is for children, I really felt the appeal even as an adult now. I don’t think a lot of middle grade books can do that, and they absolutely have no obligation to. But it just meant I got to read a creepy story for the 11 year old Hollie who still lives on my brain. What are some fantastic middle grade you have been into lately? I feel like I’m missing out on a category of books that I thought weren’t maybe for me, so I’d love some recommendations! I feel exactly that! But I knew I was in good hands with V.E. Schwab, regardless of the target demographic!